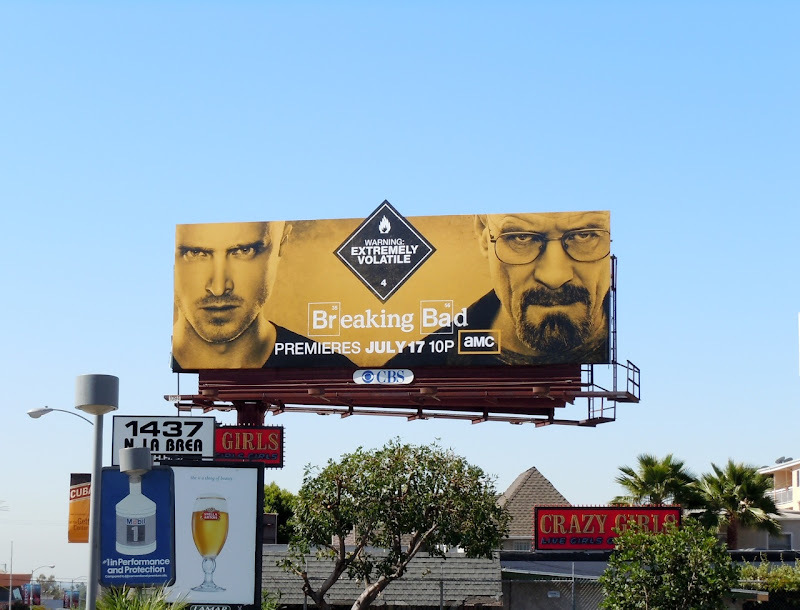 This month sees the return of the critically-acclaimed drama Breaking Bad, following Bryan Cranston's third consecutive Emmy win for Lead Actor in a Drama Series in addition to Aaron Paul taking home the Supporting Actor Emmy in 2010 too. 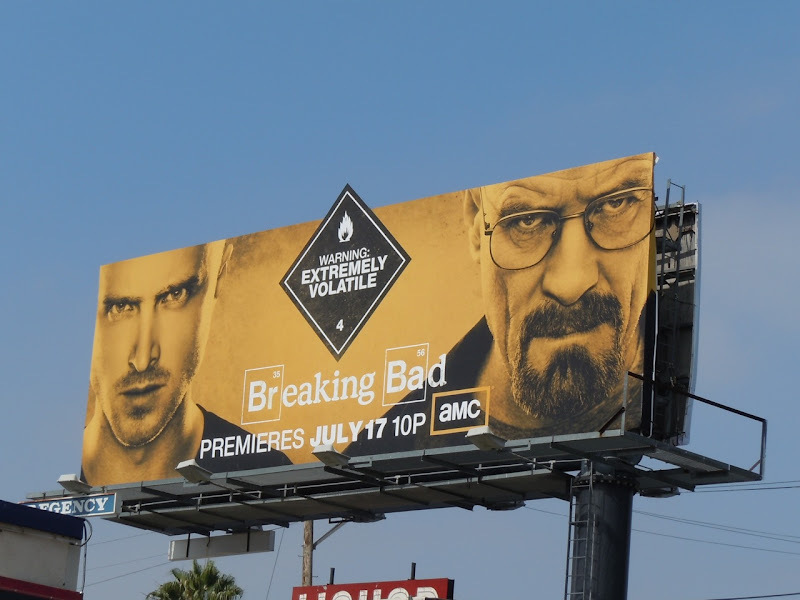 This arresting billboard for the new, fourth season is just perfect for a show about a chemistry teacher and his former student turned meth lab operators. The yellow colour scheme and periodical table design style, with hazard warning sign peaking over the top of some creatives, really makes this billboard stand out. 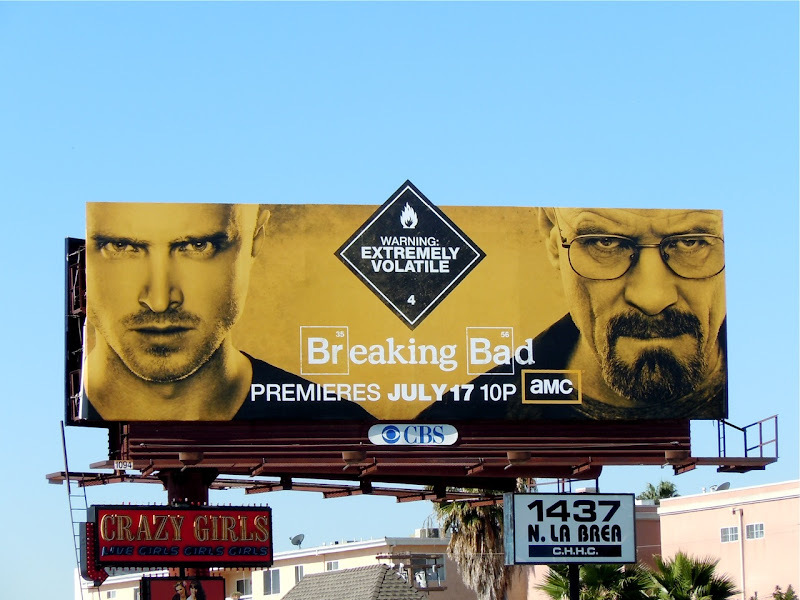 All three billboards of this cool creative were snapped at different locations along Sunset Boulevard in L.A. on June 22, 2011. 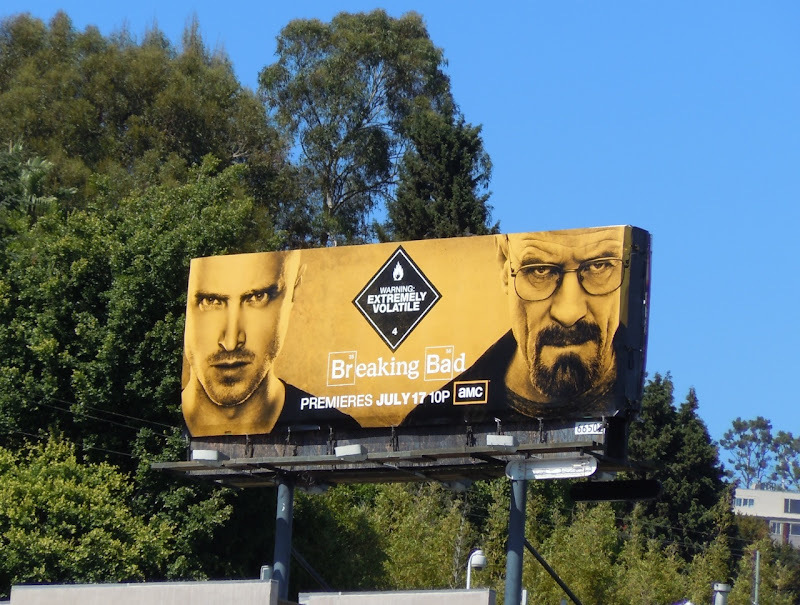 If you're a fan of the drama, be sure to also check out the season three billboard for Breaking Bad.